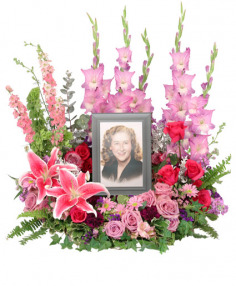 Shop for the appropriate sympathy flower arrangement that beautifully serves as a lovely memorial tribute and expresses your deepest sympathy and condolences. Make your funeral flower arrangement stand out. To make your funeral flower arrangements particularly unique, request an arrangement of flowers that reflects an aspect of your friend or loved ones personality. 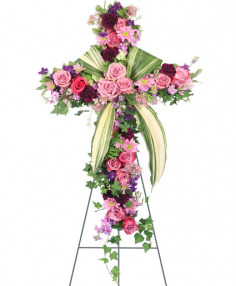 Highly-personalized sympathy tributes might include a funeral spray, cross or wreath. 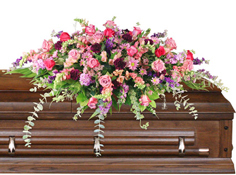 Almost anything can be incorporated into a funeral arrangement. Whatever you do, the family is sure to notice your effort and appreciate it. 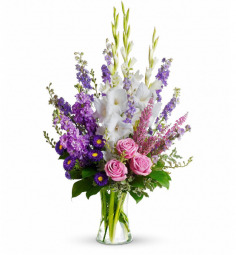 Send a memorable funeral flower arrangement that expresses your deepest heartfelt sympathy and condolences. Can't make it to the funeral service in Fort Worth? At one time or another, it happens. The funeral service in Fort Worth is tomorrow, and you just heard about it. Do not despair. 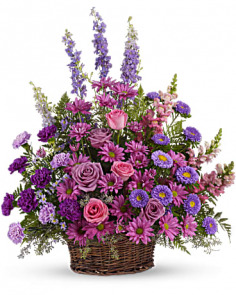 It is considered proper funeral etiquette to send flowers, plants, and gifts up to a month after the funeral service to family members of the deceased at their residences. Sending sympathy flowers and gifts just might let your friend or loved one know you recognize their grief and can count on your support.